We wish you nothing but smooth, safe driving with every vehicle purchased from us here at Guelph City Mazda, however as much as we’d like to say otherwise, we understand that life isn’t always plain sailing. If ever you hit a bump in the road and find your vehicle in need of repair, trust the team at CSN Golden Triangle Collision and CSN Regency Auto Collision repair facilities to get you back up and running as soon as possible with their fully-stocked, professionally-equipped collision center. Guelph City Mazda are a proud partner of CSN Golden Triangle Collision and CSN Regency Auto Collision repair facilities, with five repair center locations spread evenly across Guelph and the Tri-City area, you’re guaranteed to find one that’s conveniently accessible for you. Their technicians have over 47 years of experience in dealer with all sorts of repairs and work with genuine, Mazda-approved parts to restore your vehicle quickly and efficiently. 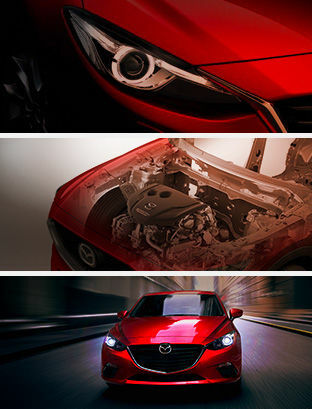 We understand how stressful it can be to have an out–of-action vehicle, that’s why Guelph City Mazda, together with their proud partners are CSN Golden Triangle Collision and CSN Regency Auto Collision repair facilities are committed to ensuring you receive attentive, compassionate service with integrity.